Amy Rothstein is an experienced civil litigator and alternative dispute resolution neutral. As a litigator, she has handled complex commercial and tort cases. She has represented international as well as U.S. clients. In addition to her work as a litigator and ADR neutral, Ms. Rothstein has served as a court-appointed receiver. In that role, she oversaw the management of three New York City residential buildings for nearly a year. After beginning her career as an associate in a large law firm, Ms. Rothstein worked as an appellate lawyer and then as a class action litigator for The Legal Aid Society. She then served as an Assistant United States Attorney in the Civil Division of the Southern District of New York, where she defended and prosecuted actions on behalf of the United States and its agencies in a broad range of subject areas including government regulation, tax, environmental law and employment. Ms. Rothstein then worked as an Assistant General Counsel at a securities firm, litigating broker-customer and employment disputes, and as Deputy Chief of the Investor Protection and Securities Bureau in the New York State Attorney General’s Office. She also was a member of Brooklyn Law School’s Adjunct Faculty, teaching a securities practice seminar. Ms. Rothstein’s trial experience has made her highly effective as a special master and hearing officer. 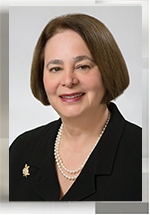 Ms. Rothstein was Of Counsel to the firm Doar Rieck Kaley & Mack from 1997 to 2013, after which she formed the firm of Salerno & Rothstein with Peter C. Salerno.